The James E. McGuffey Nature Center was developed in Coweta County in the early 2000s. The McGuffey Nature Center and Trails are located on 17 acres of the Coweta County Fairgrounds property in Newnan, Georgia. Six trails are associated with the Nature Center: Purple Accessible Paved Trail, Red, Blue, Orange, Yellow and Green unpaved trails. The center is easily accessed from Interstate 85 and serves residents of Coweta and other nearby counties. 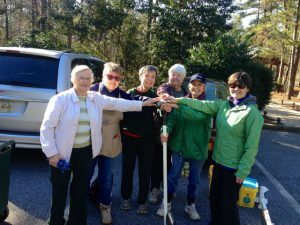 Coweta County Master Gardener Extension Volunteers (MGEVs) had occasionally held tree ID sessions on the trails, but the center had become overgrown with invasive plant species. Existing signage was faded and out-of-date, and stormwater had eroded the trails and pavilion areas. In 2015, MGEVs took the opportunity to use their horticulture expertise to enhance the educational value of the property. They developed a plan and presented it to county officials. The plan focused on removing invasive plants, adding native plants, updating signage, expanding the tree walk to include native plants and wildlife, and incorporating stormwater management techniques that could also be used in local homeowner landscapes. The county supported the Extension project and provided resources to assist with the various components of the restoration of the center. The project has also been approved as a Georgia Native Plant Restoration site. Funding has been obtained through grants from the Georgia Master Gardener Association (GMGA), Georgia Exotic Pest Plant Council, and Coweta Community Foundation. MGEVs have donated plants, and Home Depot has donated materials for birdhouses. 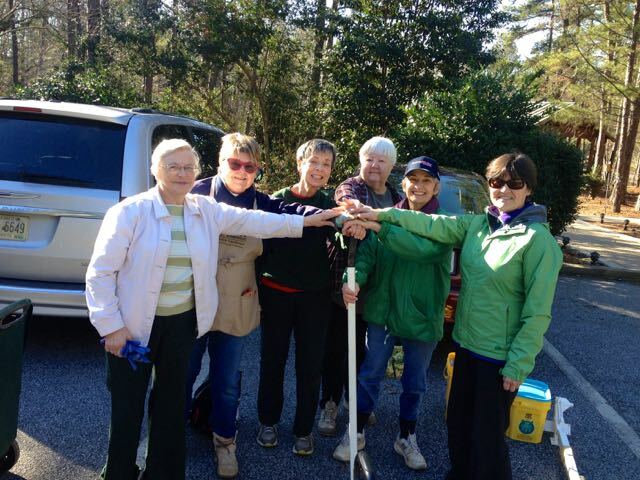 The Georgia Native Plant Society gifted a privet puller. Coweta County has also provided maintenance support, including hauling away debris and pressure washing walkways. This project has given MGEVs the opportunity to create new partnerships and networks with local and state groups. MGEVs have recruited volunteers from local Boy Scout and Girl Scout troops. A local Boy Scout earned his Eagle Scout rank as a result of involvement in this project. MGEVs also worked with experts from the Georgia Forestry Commission and University of West Georgia, environmental educators from local schools, staff from the Department of Transportation and Engineering and Geographic Information System mapping, Coweta County Parks and Recreation, and the Newnan-Coweta Historical Society. They have consulted with experts from Audubon, Environmental Education Alliance, University of Georgia, Gordon State University, Southern Conservation Trust, Georgia Native Plant Society, Georgia Exotic Pest Plant Council, State Botanical Garden, and the Department of Natural Resources. 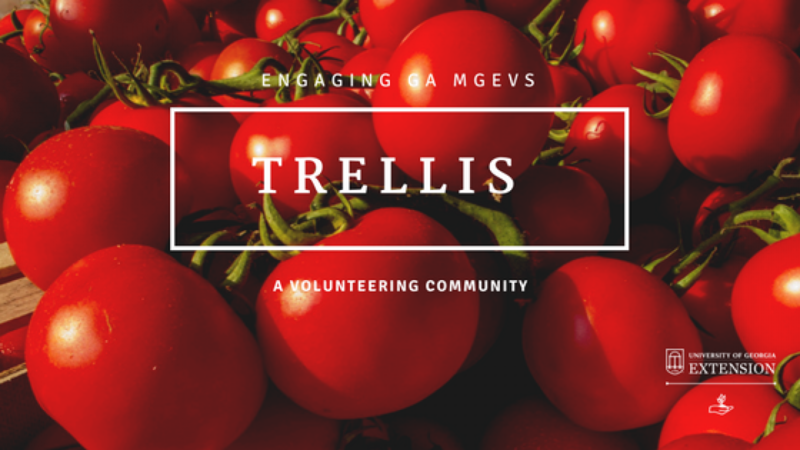 Throughout the project meetings and research, MGEVs have enhanced their skills and experience, allowing them to better serve the community. Coweta MGEVs have placed 100 ground markers that identify plants by their common and botanical names and have updated educational signs to provide visitors with a self-guided educational experience at the center. Citizens who have attended guided educational programs have expressed positive feedback on the quality of each program and have also commented about the high quality signage. *This Coweta County project was featured as a 2016 Project Spotlight. To learn more about the project spotlight process and other MGEV projects around the state, go here and here. Posted in Funding, Leadership, Projects, Volunteering. This entry was tagged nature trail, research. Bookmark the permalink.